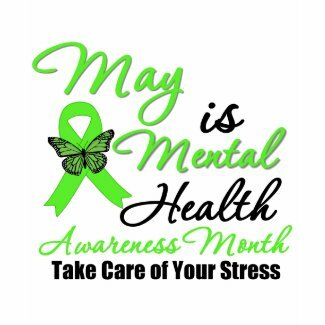 May is Mental Health Awareness month and lime green is the ribbon color of springtime and hope. Although May is Mental Health Awareness month, this is a year-round cause. Mental health issues affect us all. They might include the stress of caregiving, a divorce, losing a loved one or of losing your job. Maybe you have a diagnosis for depression or bipolar disorder. Or you are addicted to alcohol or drugs. Depression oftentimes is a co-morbid/co-occurring condition alongside diseases such as cancer, diabetes or hypertension. From teen suicide prevention to age-related mental disorders. From post-partum depression and anxiety-related insomnia, to surviving natural disaster and other trauma (PTSD). Let’s say with ‘One Voice’ that “It’s OK!… to take care of your stress and mental health without stigma or shame….Pass it on! Limeaidpartnership.com was a memorialization of Shannon Jacuzzi’s love for her sister. Lime Aid seeks to partner with mental health organizations to raise awareness and funds for the cause. Shannon was inspired by another sister, Nancy Brinker, who uses the ribbon color of pink through the Susan G. Komen Foundation to promote the importance of breast cancer awareness and research. Please help us spread the word by purchasing products that visually promote mental health awareness in your community. GiftsForAwareness.Com in conjunction with LimeAidPartnership.Com are working together to help spread the importance of raising awareness for Mental Health causes. A portion of the proceeds benefits LimeAidPartnerhip.Com. Please visit LimeAidPartnership.com to learn more about their mission. 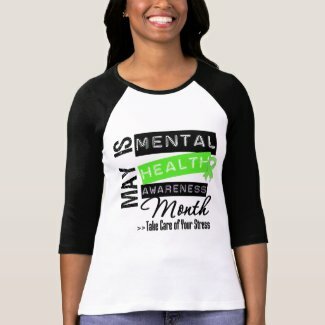 To see more Mental Health Awareness Month shirts and apparel, please visit our collection at GiftsForAwareness.Com and remember to take care of your stress.